A SURFER had a miraculous escape in North Clare after he made it safely ashore in storm force winds and dangerous seas. Doolin Coast Guard team was called to the incident in Lahinch on Thursday evening at 5 o’clock when a member of the public reported what they thought was possibly a person in the water. 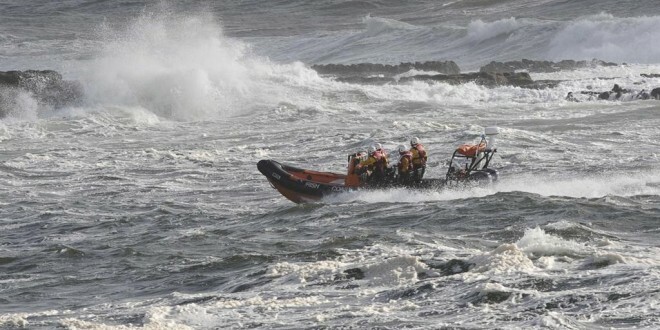 The sea was rough at the time, according to Station Officer Mattie Shannon, and Doolin Coast Guard unit team members went to the location and searched the area. They found no evidence of anyone in the water until a surfer reported that another surfer was overdue. Against the odds, in darkness and difficult sea conditions, the surfer made it back to shore at approximately 6.50pm. He was assisted and treated for hypothermia by Coast Guard members until the HSE Ambulance arrived. He was then taken to the Mid Western Regional Hospital in Limerick.